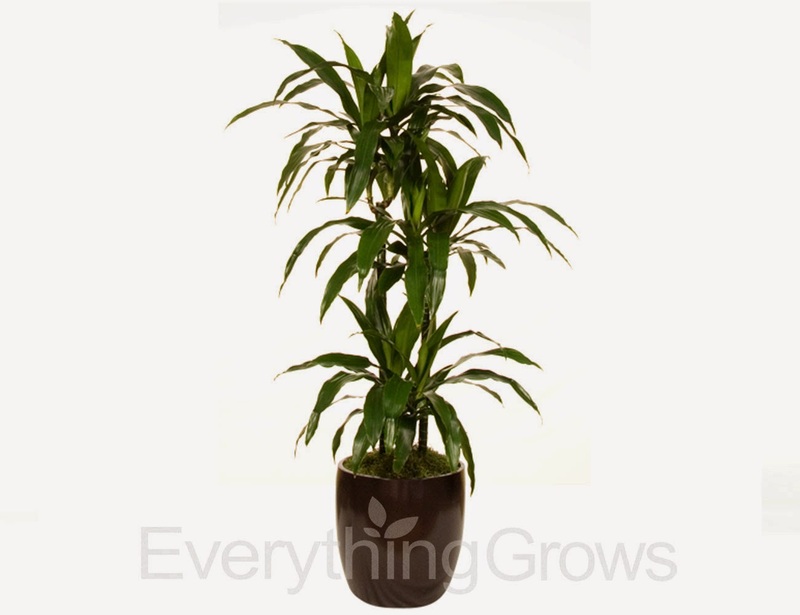 Another plant that made the NASA study's top 25 list of plants that clean the air is the Janet Craig Dracaena. This is a real work plant that Everything Grows offers as it tolerates lower light levels found in work spaces and is tall and beautiful with long shiny rich green leaves. This plant produces oxygen from Carbon Dioxide and also absorbs harmful benzene, formaldehyde and/or trichloroethylene.